*Scholarships are available. Email for more info. You don't have to go through the grieving process alone. GriefShare helps you journey from mourning to joy. 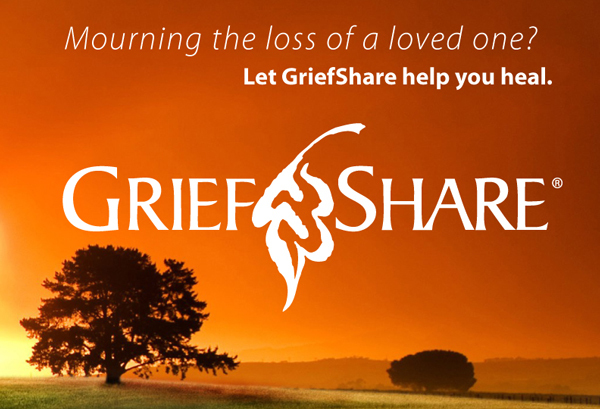 GriefShare is a weekly seminar/support group for people grieving the death of someone close. It's a place where you can be around people who understand how you feel and the pain of your loss. At GriefShare, you'll learn valuable information that will help you recover from your loss and look forward to rebuilding your life. GriefShare is 13 weeks total and is offered at Shandon Baptist Church on Wednesday evenings from 6:35-8pm. Jump in at any point and join the next seminar to catch prior sessions you missed. The cost of the seminar is $20 for course materials. GriefShare meets in room C130. To register and pay at the door, email or call (803) 782-1300 x 121 with your name and contact information.